I quit swimming when I was around 10 with a freestyle 50m time of about 42 seconds. I feel like restarting now but everyone in so much faster. Is there a way I could sort of ‘train’ in my small pool at home so I won’t be left in the dirt when I rejoin? My experience is that you will ‘catch up’ more quickly to those ahead of you if you start back swimming with them now. Whilst you may fall behind at the start and may not be able to complete the sets that they are doing, I would break it down into 4 week blocks and talk to the coach on what you can improve in each 4 week block. You will be surprised at how quickly you will be able to close the gap. 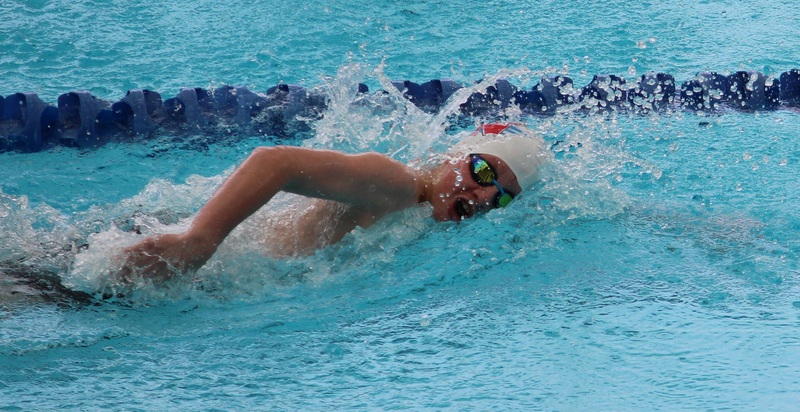 When someone chooses to start back swimming after some time out of the water, they need to be prepared to play catch-up and set small goals along the way. 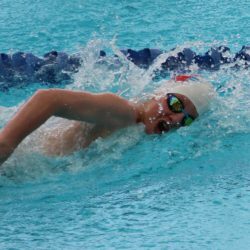 These may be as simple as making a time cycle or completing a session in the first few weeks to improving your technique so that you don’t get as tired as quickly and can complete more swimming.